Mine is in bloom recently, the flower is not shiny like its foliage but still adorable for its unique color in the family of lipstick plants. 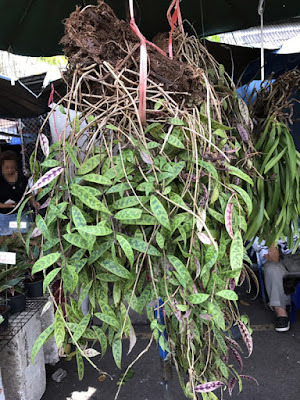 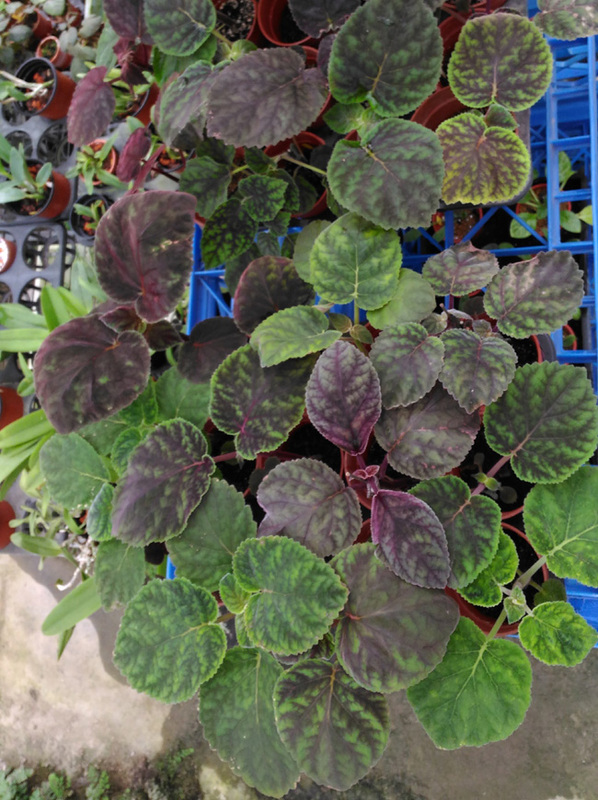 My friend saw it was sold like a wild collected plant in the flower market of Bangkok, Thailand, may be just for it's remarkable foliage. 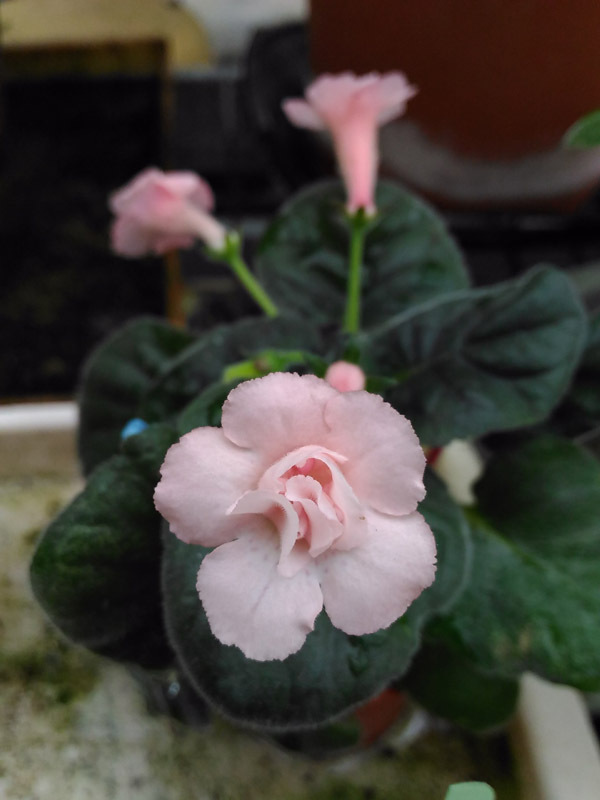 The flower is small, maybe it's a named variety but I got it without label. 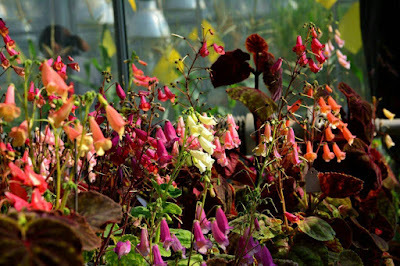 It's the autumn scene, not many plants like the spring scene but there are still new things to see and photograph. This is an interesting calyx double Sinningia with major heritage of Dircaea clade (taxonomy of Sinningia family). 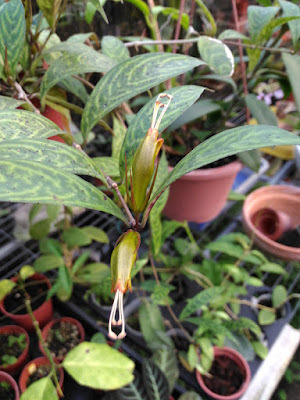 Mine is still a young plant, the double calyx is not clear. 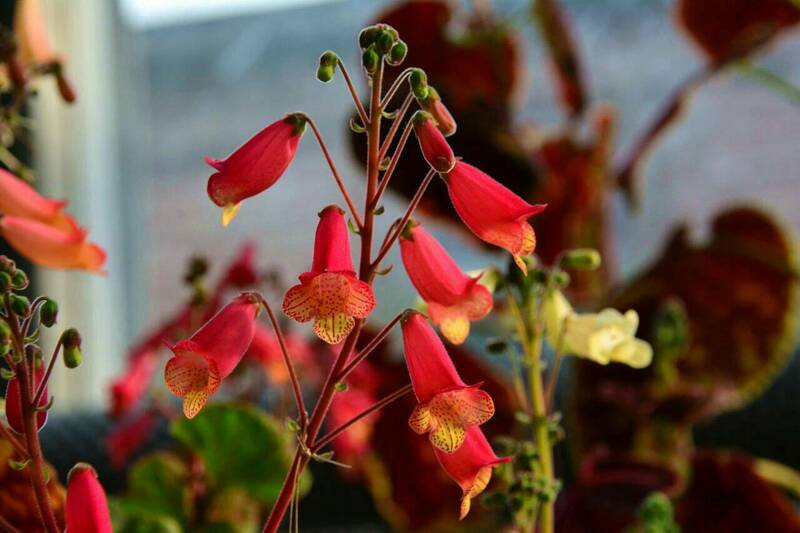 Generally speaking , the color of foliage varies, the color of flower varies as well. 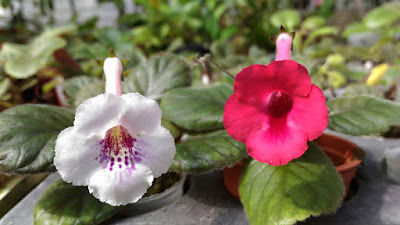 These are my Smithiantha hybrids of my former varieties Designer's Bridal Saree and Designer's Trance. 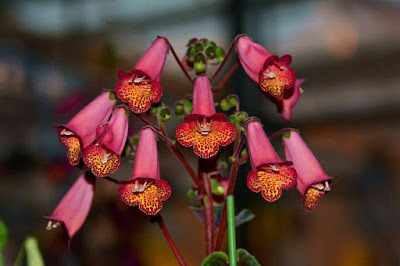 I was expecting large/dense flower spike with color enhancement as mentioned about 1.5 years ago in my sale list of seeds. 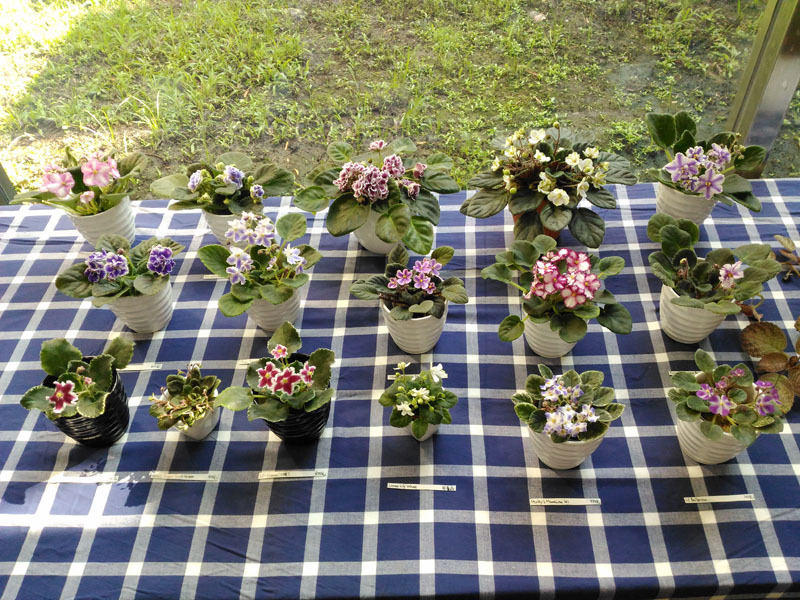 Let's wait and prove how will the color of their flowers show. 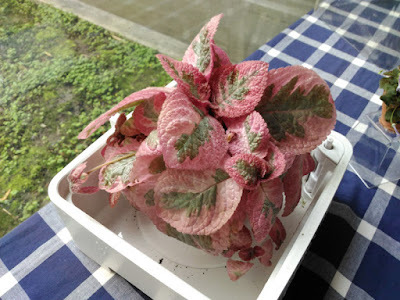 The color of modern Sinningia is interesting and sometimes they are not equal to our common color definition and we can't precisely describe their color. 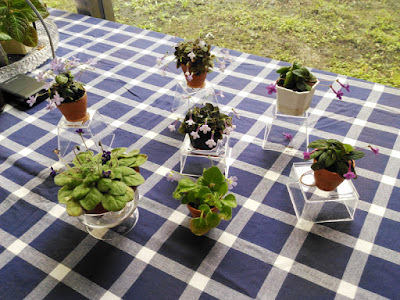 Blue, lavender or purple ? We love to grow plants and most of the time we get along with the growing period that we see only leaves, the flowering moment is brilliant but just a small part through out the growth of our plants. 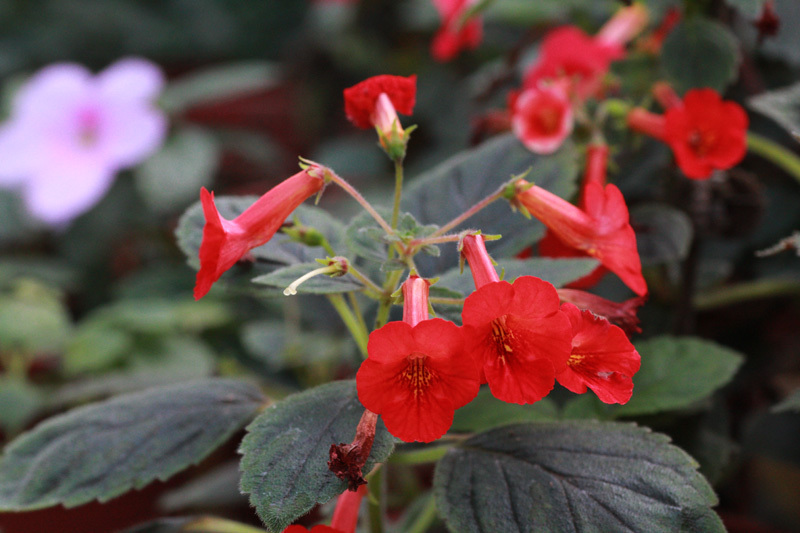 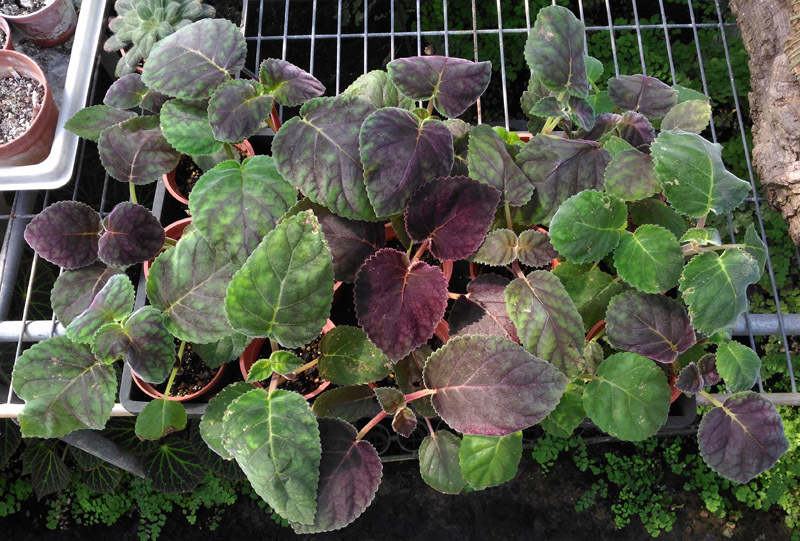 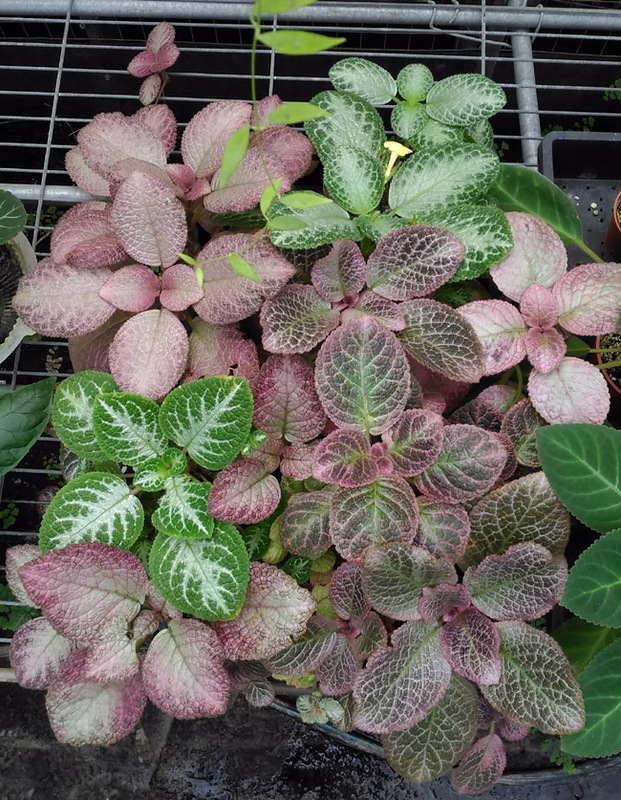 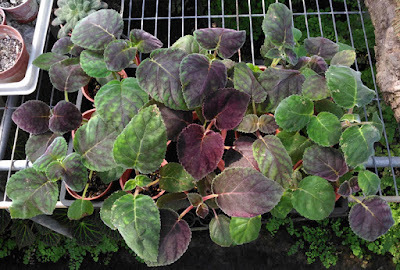 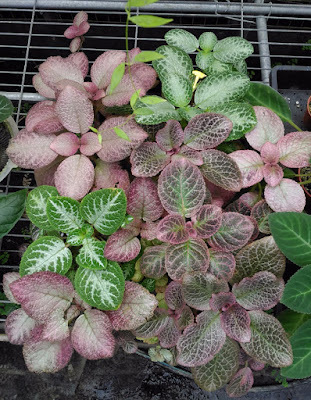 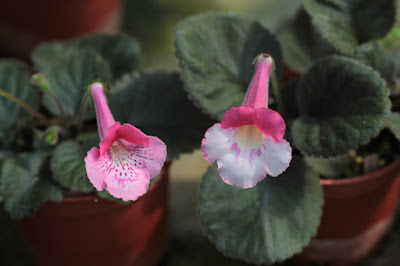 Some Gesneriads such as Episcia or Smithiantha will not bore you as their foliage is brilliant as well. 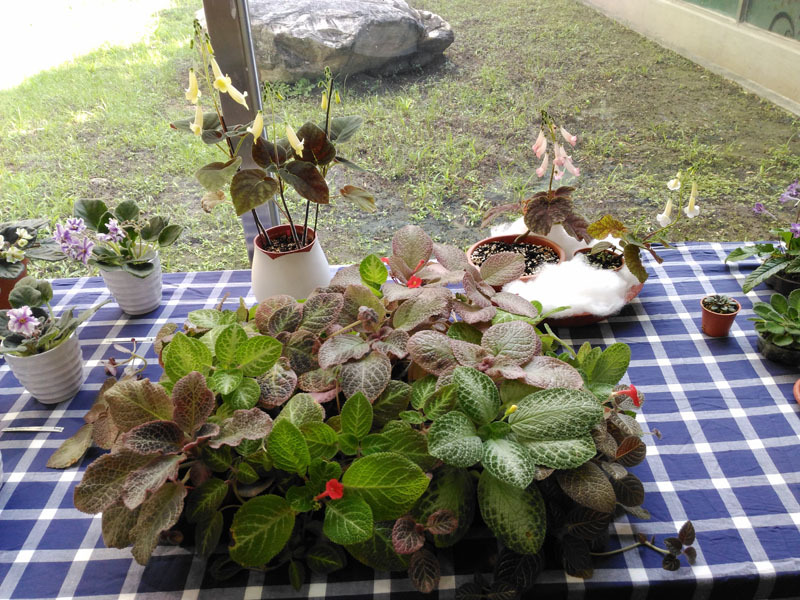 More Yanglot's Smithiantha blooms are revealed while mine is still in progress. 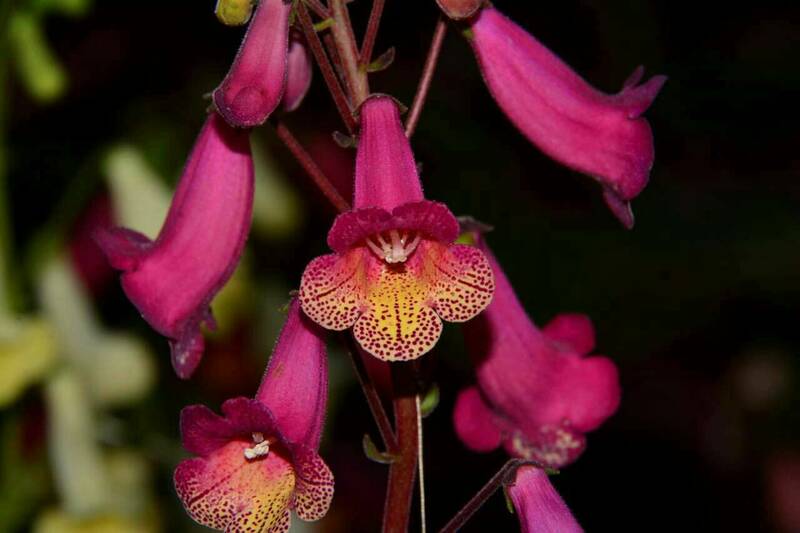 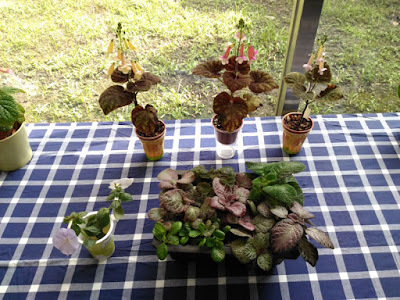 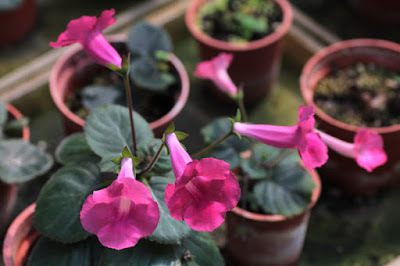 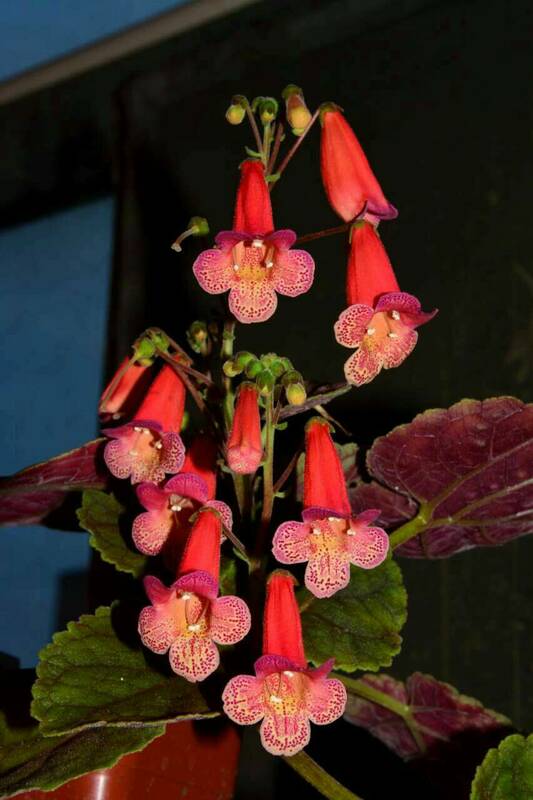 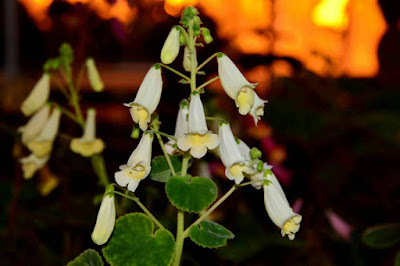 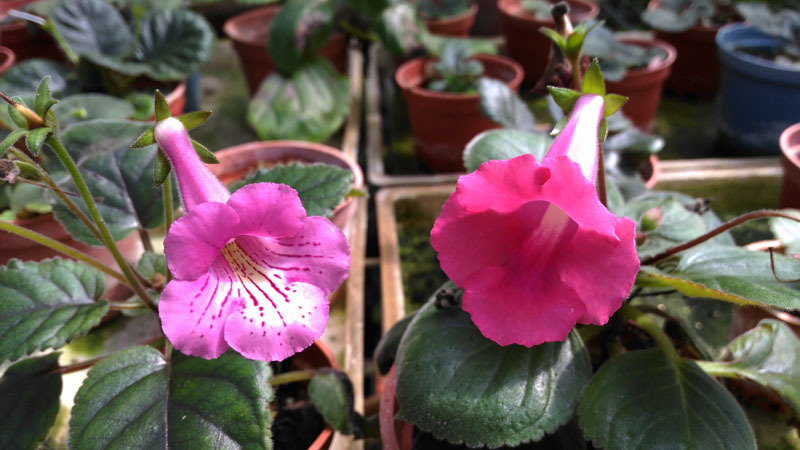 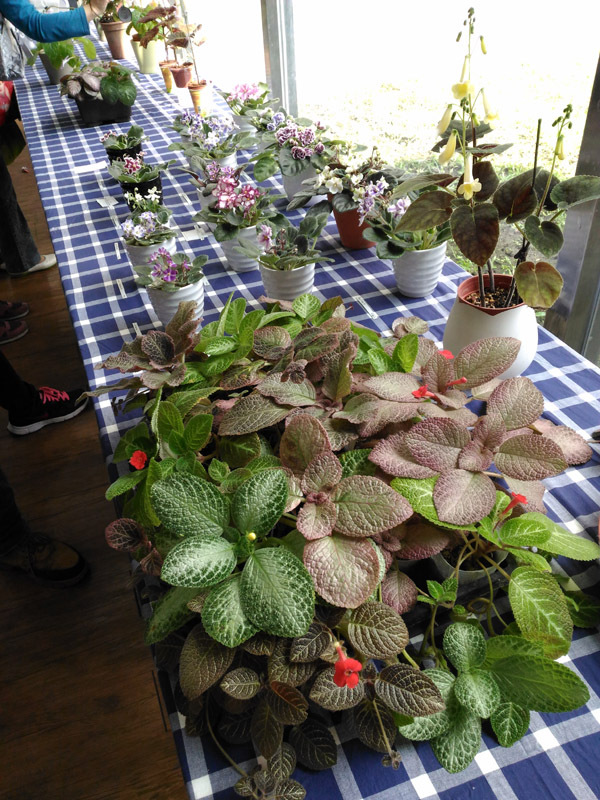 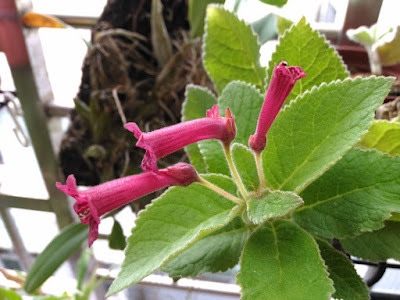 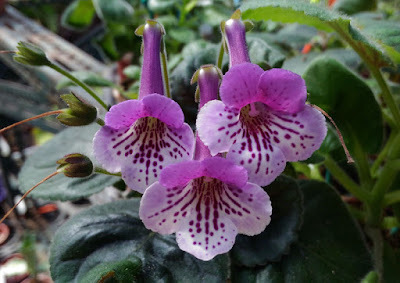 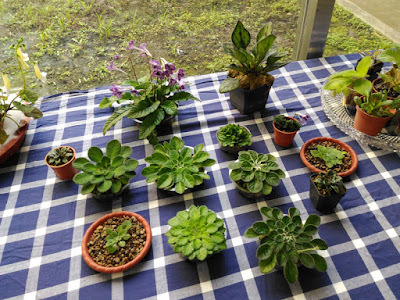 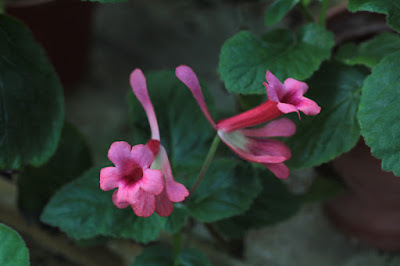 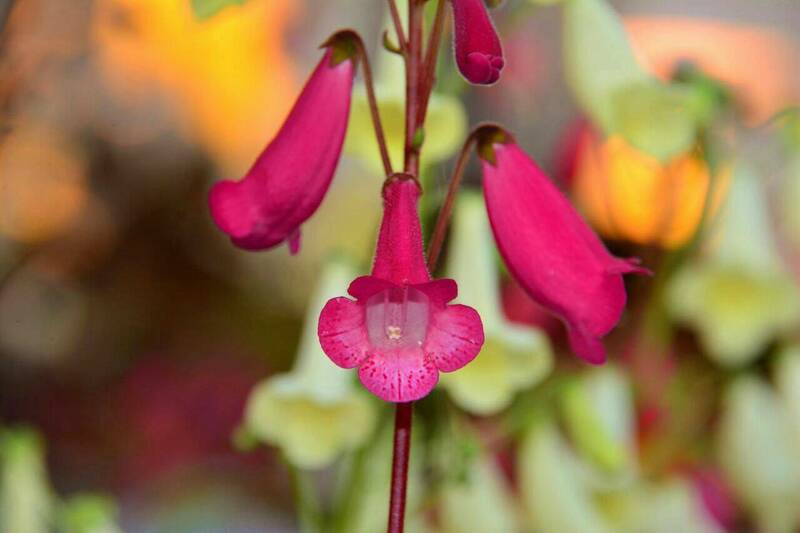 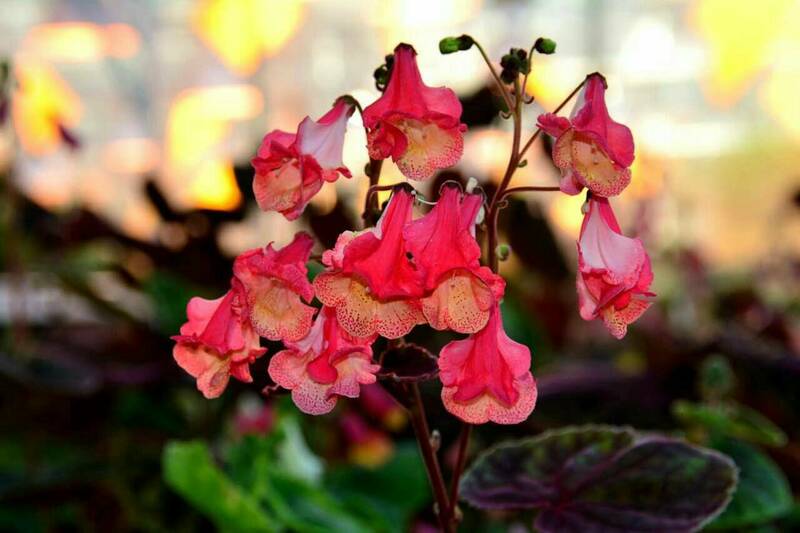 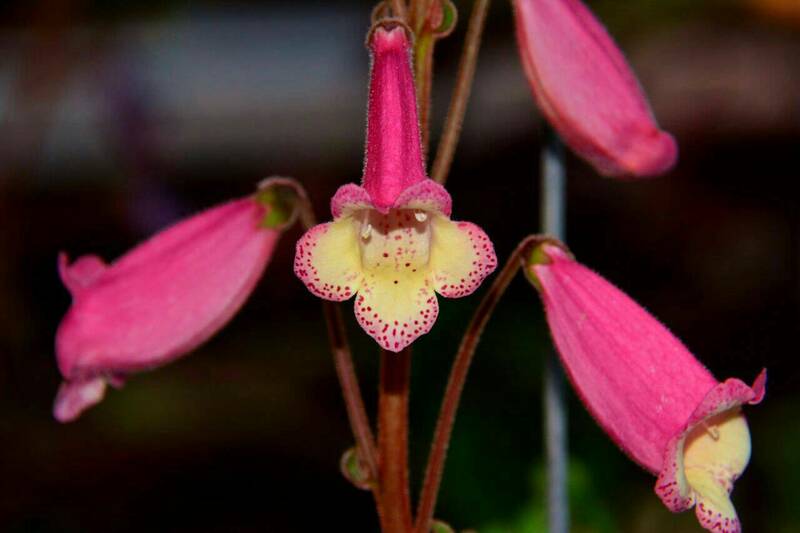 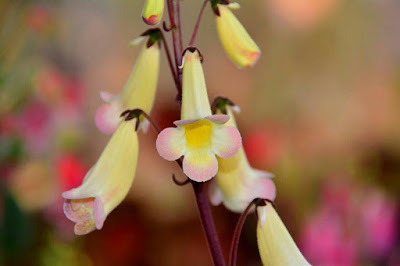 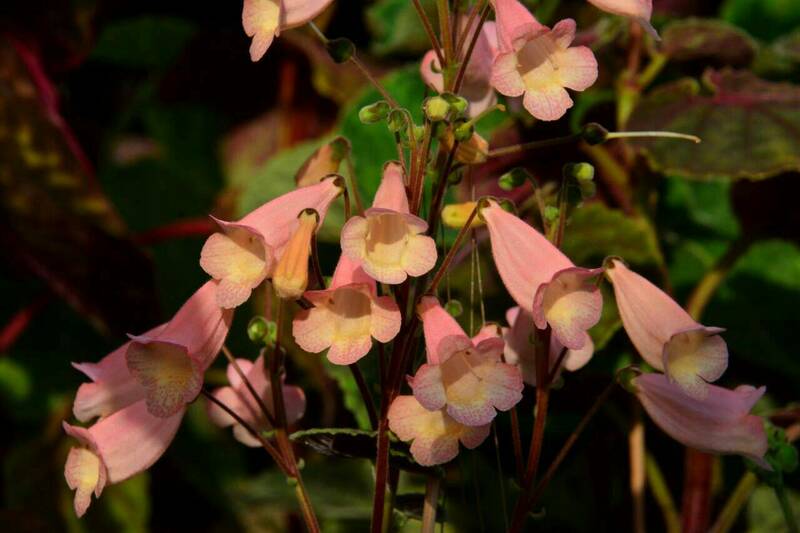 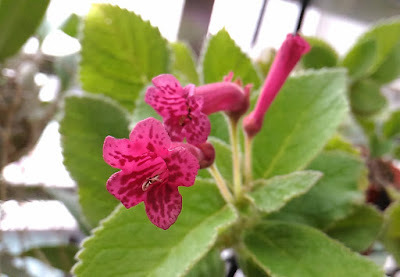 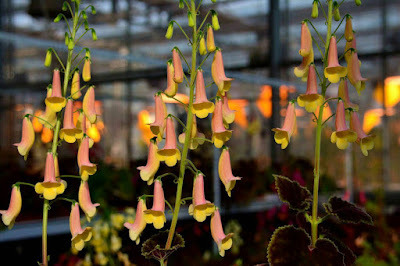 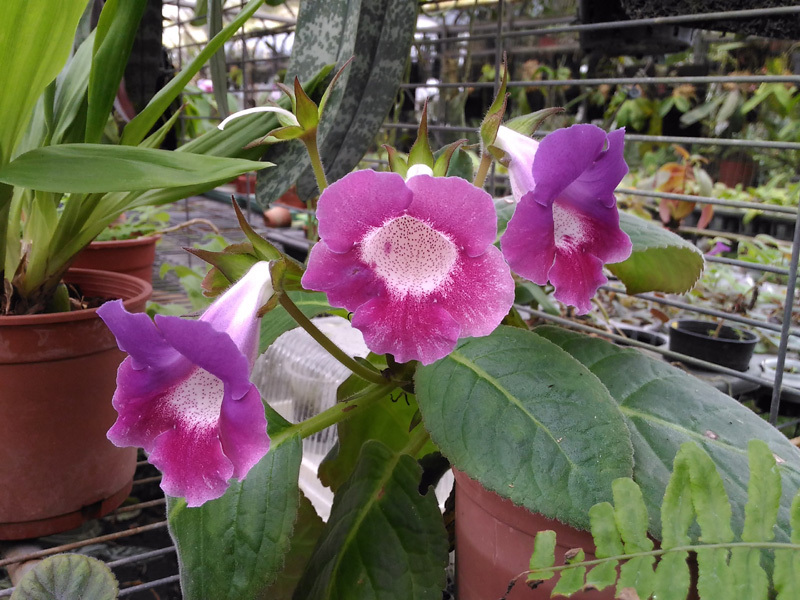 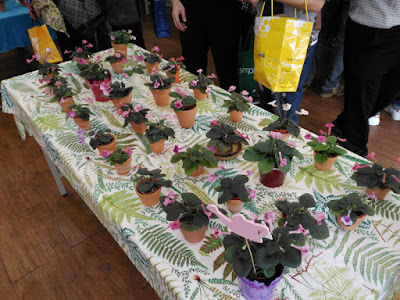 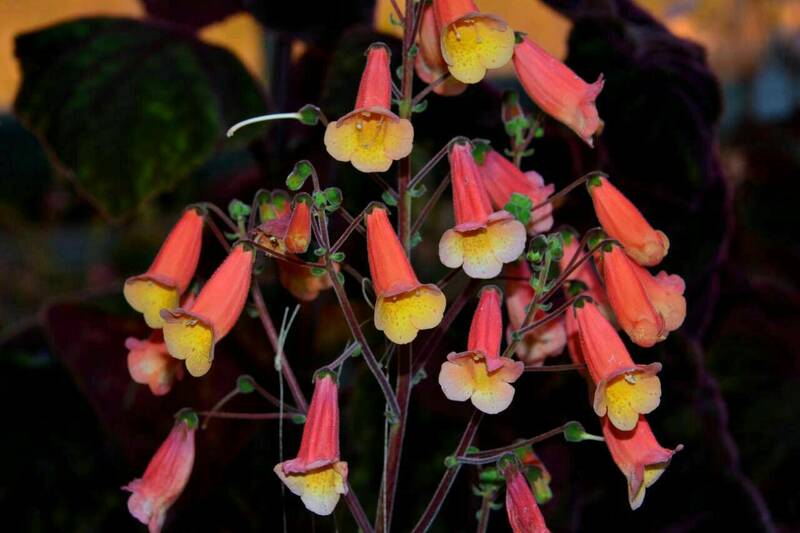 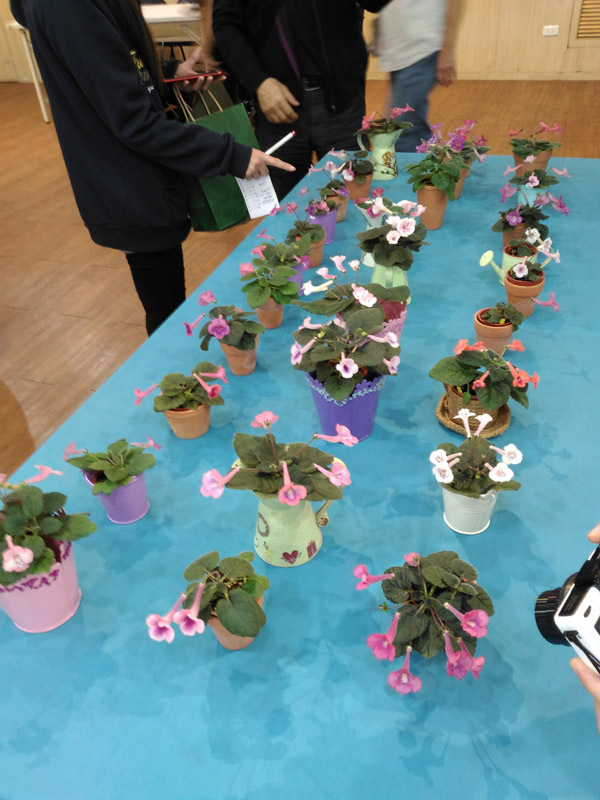 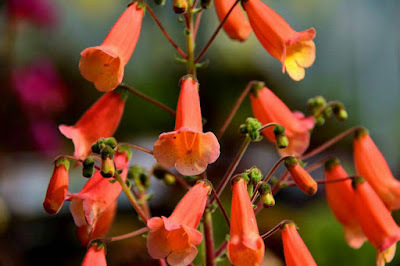 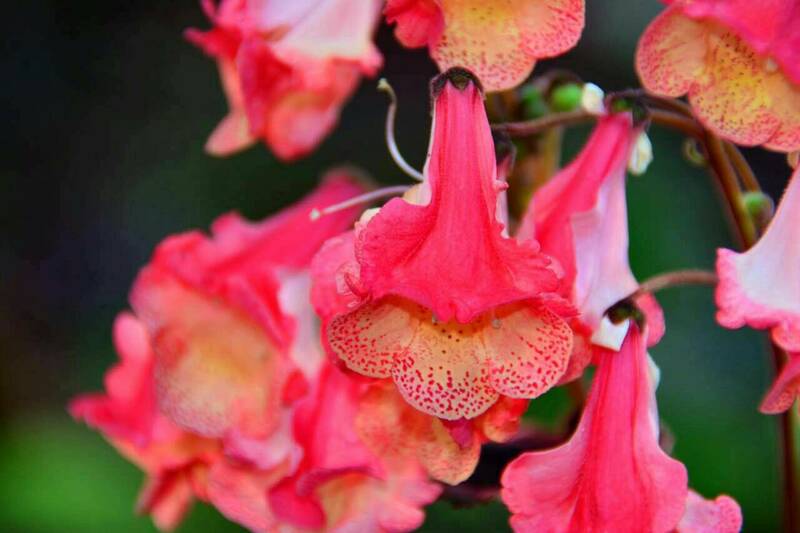 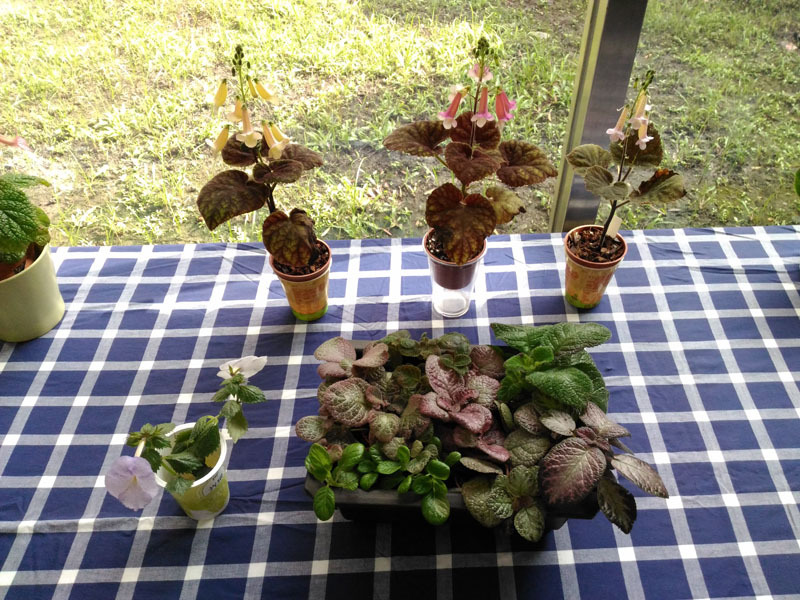 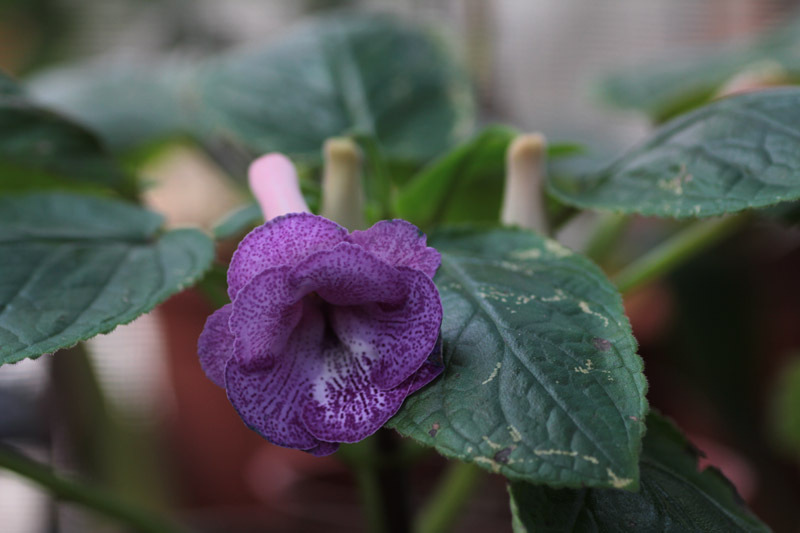 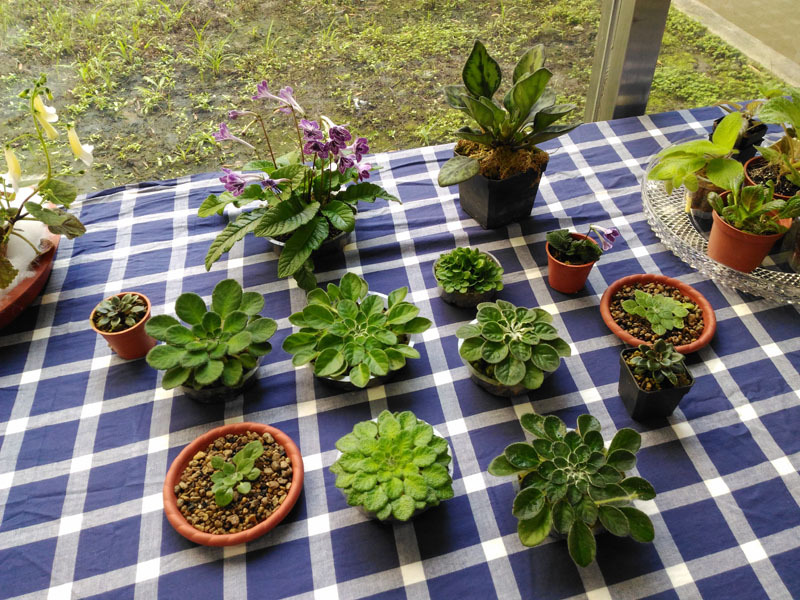 @@ Many Thanks to Yanglot (in Beijing) for sharing his colorful world of Smithiantha earlier. 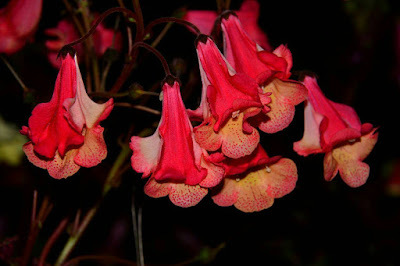 Photos courtesy of Yanglot. 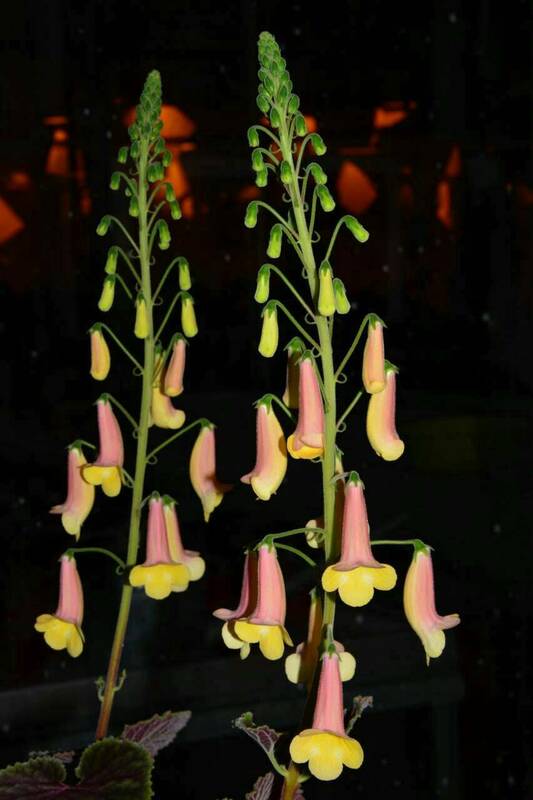 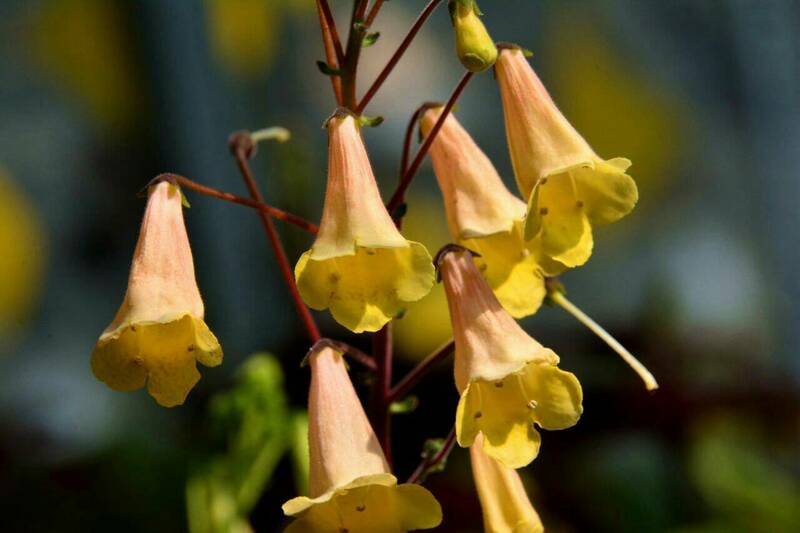 The most interesting Yanglot's Smithiantha is "Yanglot's Golden Fish". 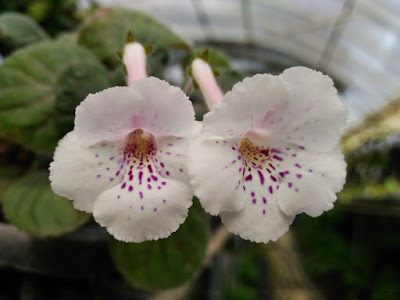 With the additional side lobe attached on the outer corolla tube, this character makes the flower look more luxury and special than other standard Smithiantha. 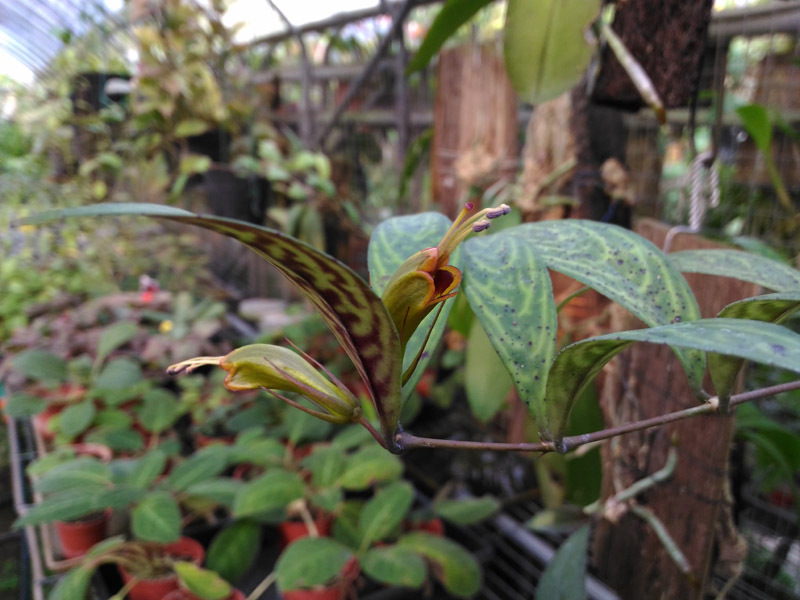 Every hybridizer will surely be exciting when seeing this one !!! Photos courtesy of Yanglot. 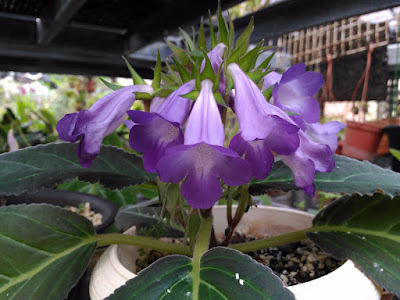 Recently I had a chance to know the Smithiantha hybrid achievement of Mr. Yanglot who resides in Beijing, capital city of China. It seems that Smithiantha flowers early in the temperate zone. 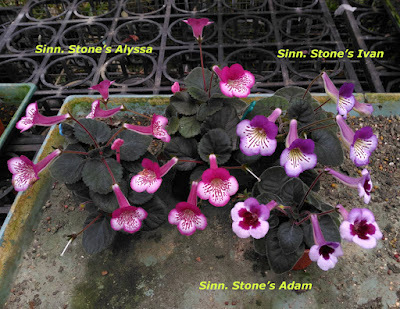 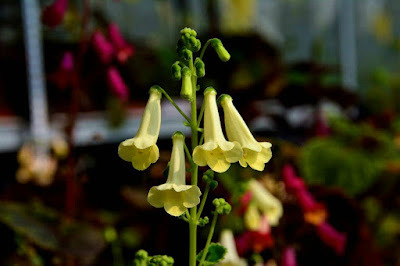 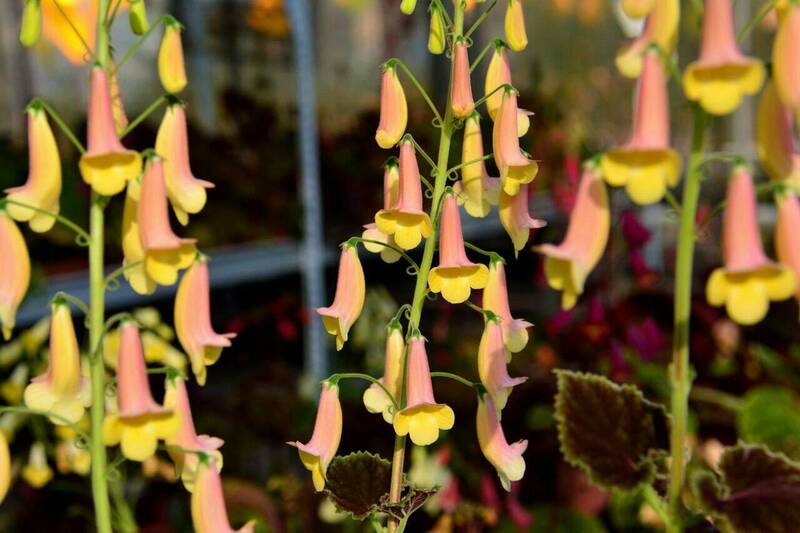 As far as I know he did hybrids of miniature Sinningia and Smithiantha. 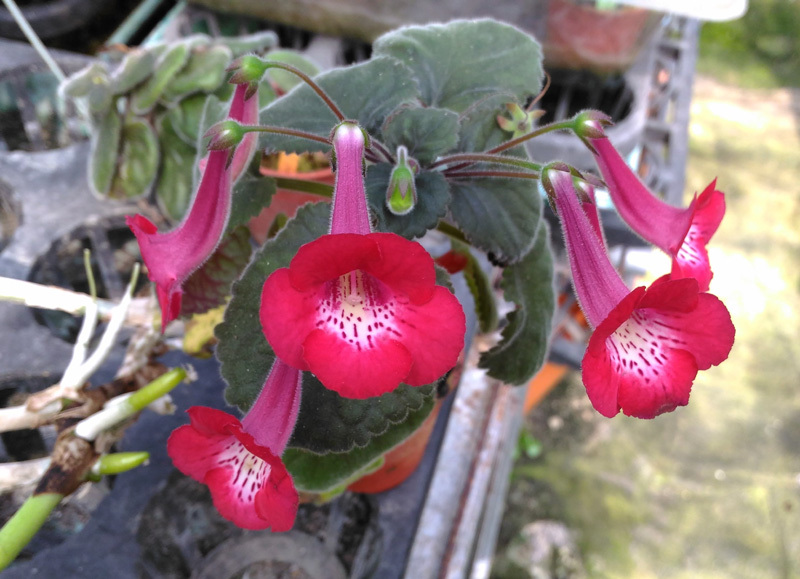 I will share the photos of his lovely Smithiantha in several posts. 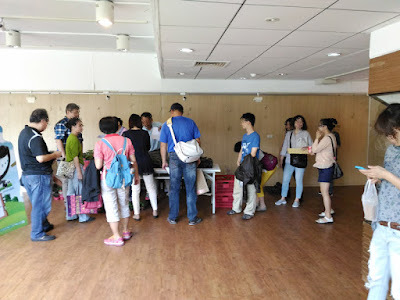 Photos courtesy of Yanglot. 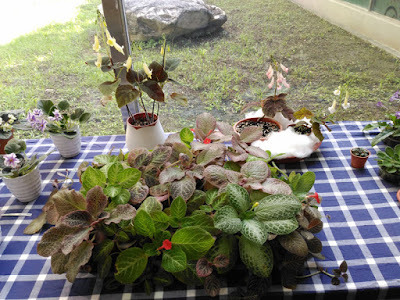 Sinningia goes back on track after the hot season. Not many flowers, at least the color and appearance are OK.